I am a longstanding supporter of Laughter For Africa – some would say too longstanding when I speak at fundraising events! But to be serious for a moment, I’d like to take a few moments of your time to explain why this cause is so close to my heart. We all know about the enormous problems that this great continent faces – and I am glad to say that there are many organisations already helping with them. Our outfit is slightly different, however. Laughter is the best medicine, they say, and this is as true in Africa as anywhere else. 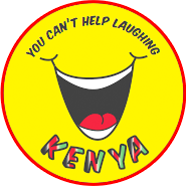 But laughter is in short supply, which is why we launched our latest campaign, You Can’t Help Laughing Kenya. Bodger and Budge, The Ghost Next Door, Town and Gown… these are just some of the legendary British sitcoms that you and I take for granted. Yet they are just a dream for most Kenyans. 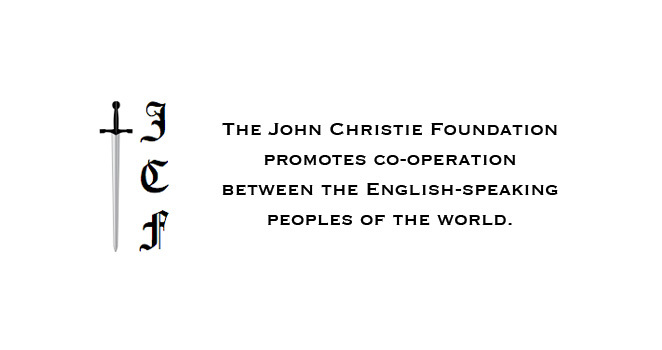 Our vision, therefore, is to provide every village with a comprehensive collection of classic comedy. To this end, we collect old video players and VHS cassettes, and distribute them using a fleet of minibuses. Each village receives a VCR and a set of tapes in a specially designed storage box. So far we have delivered more than five hundred of these Libraries of Laughter to areas where they are needed most. With your help, we can make sure that many more Africans die with smiles on their faces. Well it all started ONE DAY when I was watching Sport Relief with my husband and kids. I suddenly thought, what if everyone changed ONE LETTER FOR ONE DAY?! They looked at me as if I was mad (nothing unusual about that!) so I explained what I meant. Leeds were playing Stockport that weekend, but if they both changed ONE LETTER FOR ONE DAY then it could be Leeks v Stockpot! And it didn’t stop there. Wimbledon could be Timbledon (for Tim Henman) and the England football team could be Eggland (no jokes about bad eggs please!!). Since then it’s gone from strength to strength and we’ve raised lots of money for kids around the world. In fact kids are the biggest fundraisers of all – although sometimes they don’t quite get the point. For instance, one mum told me her daughter wanted to change her name from Harriet to Haricot (which is her favourite type of bean). Unfortunately I had to tell her that she couldn’t do this, because it wasn’t ONE LETTER FOR ONE DAY, and once you start breaking the rules for one person you have to do it for everyone. Fortunately these disappointments are rare, and the way things are going we will one day reach our ultimate goal. But this goal is nothing to do with football – it’s in another league altogether! I think she’s right, and that’s why we are having a special campaign to change that nasty S and ONE DAY bring laughter to the whole world.